Re: ONM Forums Top 100 Games Final Results! *100 to 11 live! Nice to see the Silver/Soul Silver games so high at least . The original is one of my all time favourite games, and the remake for the DS was exceptionally well done and deserves all the high praise it can ever get! Woo Mario Galaxy. Have the second 1 just ahead of it, but both are spectacular . Brawl still being ranked so constantly still kinda boggles my mind though lol . Looking forward to the next 2. OKAY so I predicted that HGSS, Galaxy, Xenoblade Chronicles and Fire Emblem Awakening would all be in the top 5 and they are but what is the game I'm missing out because I can't think of what it could be for the life of me?? Slazo gave us a clue with 'toon link'. 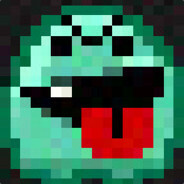 Okay, for real next time, the actual final ONM Forums Game of the Forever coming in just 5 more minutes. ...oh. Wasn't expecting Link's Awakening. 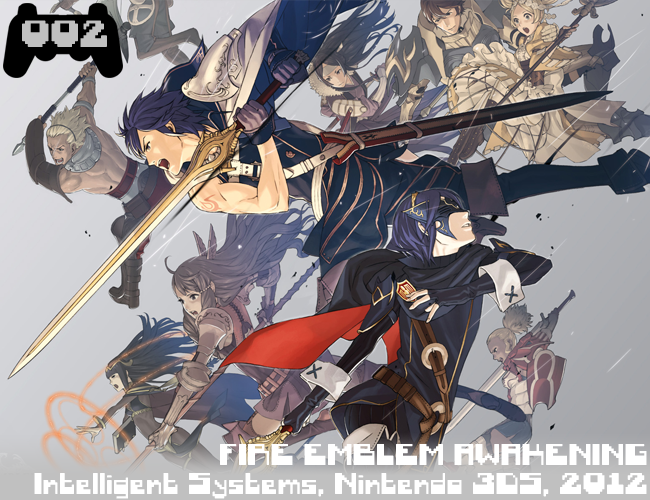 All hail Fire Emblem Awakening. EDIT- I JUST REALISED THAT SAYS 101 NOT 3 GOD I'M AN IDIOT OMFG. Last edited by Pineapple on Sat Nov 08, 2014 8:24 pm, edited 1 time in total. RedDeadMonkey wrote: Incredibly fun game where I've put in hundreds of hours. Easily deserving of the number two spot. Wiitabix wrote: An epic handheld turn-based strategy. The RPG elements were rich with a superb attention to detail. The maps and strategies were given just as much thought. A fine example of a Fire Emblem game and an even finer example of what the 3DS can do. geengy wrote: I remember loving the first one. It was fantastic. The 3DS game, though? I'm speechless. AAA-standard execution, brilliant computer/animé cutscenes, a well-crafted story and cast nothing short of loveable and bubbly. Long Live Donnel! The postgame content is also plentiful and Streetpass continued to supply me with bona-fide badasses from whatever McDonald's I'd just been to fight against regularly. wiill 64 wrote: This is Fire Emblem at it's best. The most accessable and replayable entry in the series to date, this game basically has all the series highlights and addictive gameplay in one package. You'll become attached to characters like Tharja, Lucina, and Donnel as you try and finish the game without any perma deaths while also trying to create an army of super soldiers with the relationship system. goldenmushroom wrote: Combines the best aspects of all fire emblem games and possibly the game I've clocked most hours into. RiksilveR wrote: Deep mechanics and strategy, great characters, brilliant visuals (still disappointed they didn't use the FMV style for the final sequence though) and a phenomenal soundtrack. Utter genius. KingoftheSocks wrote: I'll be honest now, I'm not a fan of the Legend of Zelda games, well all except one, Wind Waker held my interest far better than any of the other LoZ games I've played, whether it was the grand soundtrack, the gorgeously visuals or its different feel to the other LoZ games I don't know but it is the exception to rule for me in terms of LoZ games and it's definitely one of my favourite games to date. UchihaMiek wrote: One of the first games I played on the gamecube and I loved every second of it. It's aged incredibly well too, without a doubt my favourite Zelda. wiill 64 wrote: The first Zelda game that I ever played. Creeping through the Forsaken Fortress, returning colour to and awakening the sunken Hyrule, swinging from Valoo's tail to defeat a boss, all memorable moments from the Zelda game that quite possible has the most charm and character in the entire series. googlybear wrote: To put it simply, masters the Zelda formula in every respect - baffling initial controversy over an art style that still feels fresh if you played the game today. Only flaw is the Triforce Quest from where the dev team ran out of time. vtheyoshi wrote: This is Zelda at it's finest, the best in a long and prestigious line. The game is very polished in every respect, and remains the least glitchy Zelda game ever. This is the only Zelda game I have played that has made me feel a real sense of adventure; sailing on the Great Sea with that music accompanying it is just so epic. The game is also well paced; I never felt like the dungeons went on for too long. One of the best stories in Zelda as well, it's the only to ever make Ganon feel human and relate-able. Yes, Wind Waker takes it home. In a fitting end, the winner of the first Top 100 back in 2009 becomes the winner of it's final rendition here in 2014. Final thoughts and other stuff coming in a little bit, I need a drink. Better than expected top 20 .. overall well pleased. I'm pretty happy with Xenoblade and MGS3s' positions on the list. I'm pretty not happy with every other game's positions on the list. I'm ashamed I forgot about Wind Waker tbh. 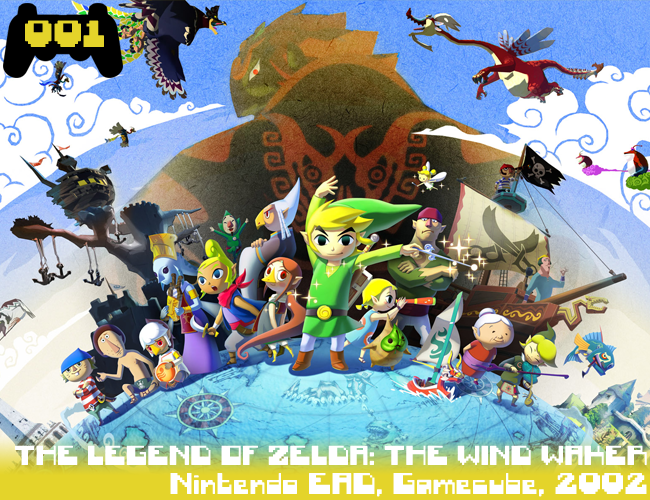 I don't think I voted for Wind Waker but do think it deserves the win. Now that it's over, I can say I was pretty happy with how this list turned out. Last year after some early jostling it became very clear that Brawl was going to walk it despite the attempts at rigging. This time it could've gone to any of those top five. I didn't expect Fire Emblem to go up in the ranks and almost pip Zelda to the gold, and having multiple non-Nintendo's in the top ten was great (especially Persona 4 as I adore that game). So while there were less voters than I hoped for (under 100, darnit), as a final list we could've done much worse. OK, it has its flaws, mainly the Triforce quest, hence why I don't rank it #1 but its a true classic. But yeah, fantastic work Slazo putting this all together! While i was never going to agree with some of the final placings, it is overall, a pretty decent list. Also, the presentation of this countdown was sublime, so well done to Slazo. Thanks so much for putting this together Slazo. I think this list will influece my buying choices. Last edited by BonafideGeengster on Sat Nov 08, 2014 10:14 pm, edited 1 time in total. Yeah, no-one was ever going to say the top 10 were a faultless list regardless but it's a decent top 100 regardless of positions on the whole. FEA I can't help fills its spot because it's recent and one of the 3DS's big games so far but we'll see where it goes next time I guess. I've played 7 out of the top 10, 14 of the top 25, 30 of the top 50, and 55 of the whole 101. Not bad I don't think, gives me some to work on too (out of those that interest me). Pretty happy with the list, I do wish persona 3 outranked 4 but that was never going happen. Congrats to Wind Waker, happily suprised with Fire Emblem's ranking. Didn't expect to see Pokemon GS in the top 5 either, but can't deny it of it's place. Great list. I'm impressed, ONM. I didn't know you had it in you to recognise the best Zelda, and yet you did. The fact that Fallout 3 got on the list and New Vegas didn't is a sign of the quality of this list. Overall, I'm pretty happy with this list. It's a shame that Sunshine isn't in this list, and I wish that Okami would be a bit higher (the top ten would have been cool), but Wind Waker is deserving of the win; it's a bloody fantastic game. Props to Slazo for the list.